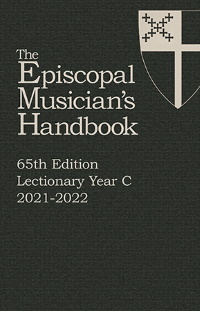 The Episcopal Musician’s Handbook is the essential tool for assisting clergy, musicians and laity in preparing meaningful worship in the Anglican tradition. With this special offer, you can purchase one copy of the new, 63rd Edition and the Lectionary Year A for $39 and then add on a single copy of the 62nd Edition. Available for U.S. delivery addresses only. All prices are USD and including shipping and handling. For Canadian or international delivery, contact customer service (mailto: subscriptions@livingchurch.org). Yes, please include an additional single copy of the 62nd Edition (2018-2019) for $19.50 with my order.